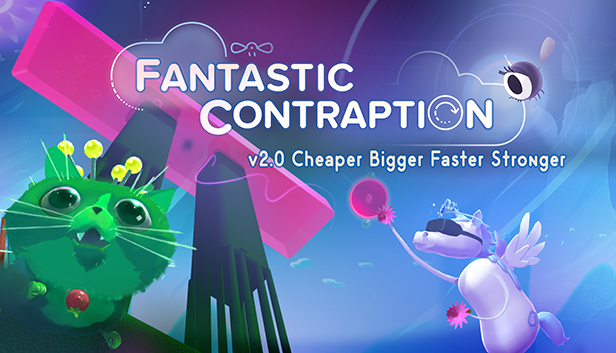 Fantastic Contraption version 2.0 is now live! Happy Valentine’s day, Neko loves you! Version 2.0 comes with a 33% permanent price drop. 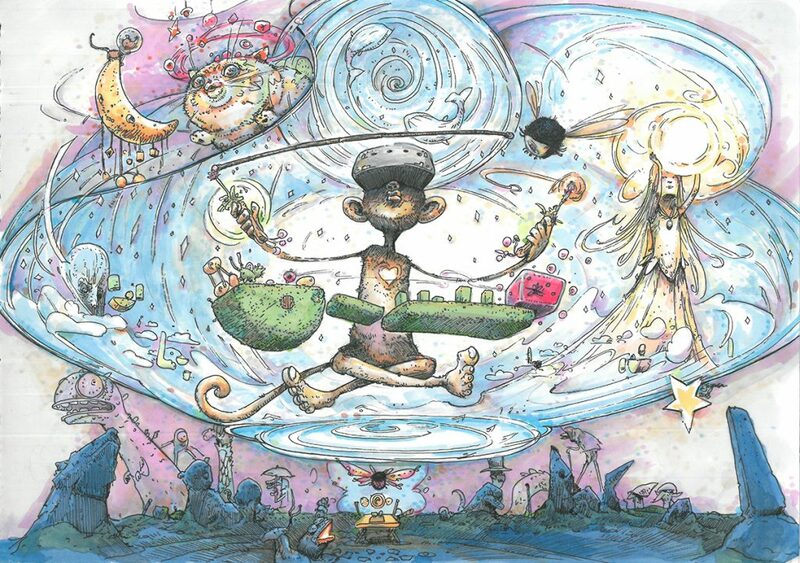 Fantastic Contraption is now available for $19.99USD everywhere! Pricing has always been something we’ve had to approach carefully. As we were a launch title for the first commercially-available VR, there was no data on what was appropriate or expected from consumers. Now that the market has settled down a bit, we think that $20 or so is fair for everyone and in line with expectations. And if you buy now, you’ll essentially have $10 you didn’t before! That’s like… a pizza! A… a small pizza, but a pizza! You’ll be losing free money if you don’t buy today! We’ve put a ton of work into our puzzle-set and have created a whole new “B-Side” playlist for you to enjoy! The game now boasts over 100 levels, smoothing out the introductory learning curve and adding some high-end challenges for those Contraptionistas that find the late-game too easy. Share your new solutions! Show us what you’ve got! Fantastic Contraption 2.0 runs faster on every machine now! We’ve been making separate versions of Fantastic Contraption for different platforms, as each new piece of hardware had different technical requirements or minimum specs. Gameplay is the same between all platforms if you have the latest and greatest hardware, but what if you don’t have a supercomputer with a dedicated AC room? We’ve put a bunch of probably-disqualifying performance-enhancing code into each edition of the game to make it sing uniquely for each platform. What we’ve done in Version 2.0 is merge all of our performance fixes into one master build. This means that if you have a computer that is below min-spec on any platform, you should still be able to play without our physics engine grinding your CPU to dust! This also means that if your CPU is heavily loaded with other tasks (Twitch streaming, mixed-reality compositing, etc.) the game will keep chugging along at a comfortable 90+ FPS. This required us to rework how physics work so if reality starts falling apart for you, maybe try RAMing some CPUs onto your DVD-ROMs. Fantastic Contraption has been hitting up the gym every week and is really starting to show some progress! It’s been simultaneously doing low- and high-carb diets and the results are amazing! But also, now that you’ve made it this far down in the update news, I’ve got a secret to let you in on. All those dirty article-skimmers won’t know about this, but those B-Sides levels? They also include a handful of levels featuring all-new gameplay mechanics: Cactuses (that destroy bits of your contraption on touch) and Balloons (that give your Contraption buoyancy to float over Cactuses, gaps, and other challenges). These new elements aren’t a big part of this update; they’re little teasers we’ve thrown in, things that we’ve been working on since version 1.0, way back when VR was just a baby. They’re just two fun toys in a whole toolbox of things that were cut for the initial version of the game. You can access these new elements in the Level Editor though – so you can generate (and share online) all sorts of zany things for the world to see! PS VR and Microsoft Store contraptionistas: You are also getting the 2.0 update! It’s all done on our end, we’re just waiting for their quality control inspectors to finish going over it all with a fine-toothed-magnifying-glass. That’s a thing, right?